Rada must adopt a package of environmental laws as part of its international obligations. Verkhovna Rada must adopt on Tuesday a package of environmental laws, as part of Ukraine's obligations before international partners, Deputy Minister of Ecology and Natural Resources on European integration, Mykola Kuzyo, reminded a 3 September roundtable conference at Gorshenin Institute, which was organized in conjunction with the Reanimation Package of Reforms. "The source of these obligations are four to five , depending on how you count. 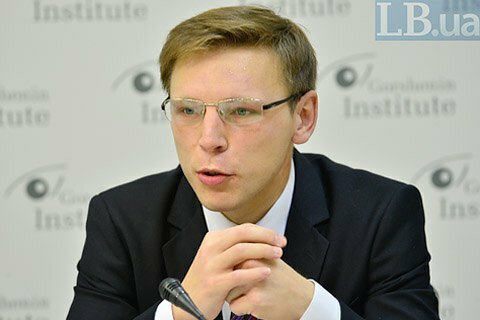 Those are international conventions, Association Agreement and the Protocol on Ukraine's participation in the Energy Community Treaty," he said. Deputy minister emphasized that these bills are important in themselves in terms of national legislation. "Ukraine's proper implementation by of its commitments is the adoption of these bills. It's certainly important, but even more important for us is that these bills are really important for Ukraine to begin in earnest to integrate environmental policies into other sectoral policies to have transparent procedures and rules to assess the impact on the environment," he said. Kuzyo recalled that the assessment of the impact on the environment is one of the requirements of virtually any loan, grant or project assistance, which Ukraine receives. The procedure and rules of this assessment is that the law is not defined. "Ukraine often borrows internationally. It may be the loans from the European Bank for Reconstruction and Development or the European Investment Bank. Ukraine gets involves in various technical projects, and takes various grants for development. So a common practice for most of these projects is based on an assessment of the environmental impact of any activities carried out within the framework of these projects," said the official. On 4 October, the Verkhovna Rada will mark the International Environment Day by considering in the second reading and possible adoption of three key environmental bills: the draft law on environmental impact assessment, on strategic environmental assessment and On Amendments to Some legislative acts of Ukraine regarding the implementation of integrated approaches to the basin-based water resources management.